Bury Markets - Library service enters the Market! Library service enters the Market! Celebrate National Libraries Day by joining Bury Libraries Staff at Bury Market on Saturday 7 February. On the day there will be a library stall located on the Open Market from 10am to 3pm with various giveaways and the opportunity to sign up as a library member. The National Libraries Day campaign is designed to say a national thank-you for the unique contribution made by library and information professionals and their institutions to personal and professional prosperity; from sparking a lifelong love of books and reading, to accelerating literacy and learning and connecting workers with the different kinds of information they need in their workplace; providing a home for social relationships and inclusiveness and a safe place for any member of the community to gain help and essential access to information and the internet. 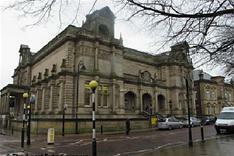 More information on the day and Bury Libraries can be found on Facebook - Bury Libraries.